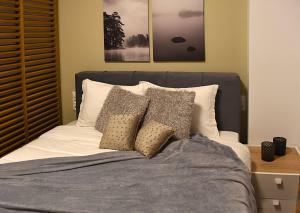 Situated in Thessaloníki, Comely n Gusto luxury Apts. (Must) offers accommodation with a seating area and a kitchen. Free WiFi is featured. Fitted with a balcony, the accommodation offers air conditioning and features a flat-screen TV and a private bathroom with bidet. An oven is also available, as well as a coffee machine and a kettle. Rotunda is 200 metres and Arch of Galerius is 30 metres from the apartment, while Thessaloniki Exhibition Centre is 450 metres away. 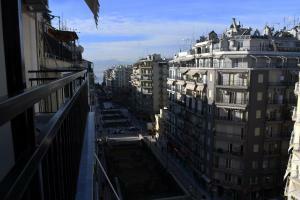 The nearest airport is Thessaloniki Airport, 16 km from Comely n Gusto luxury Apts.(Must). 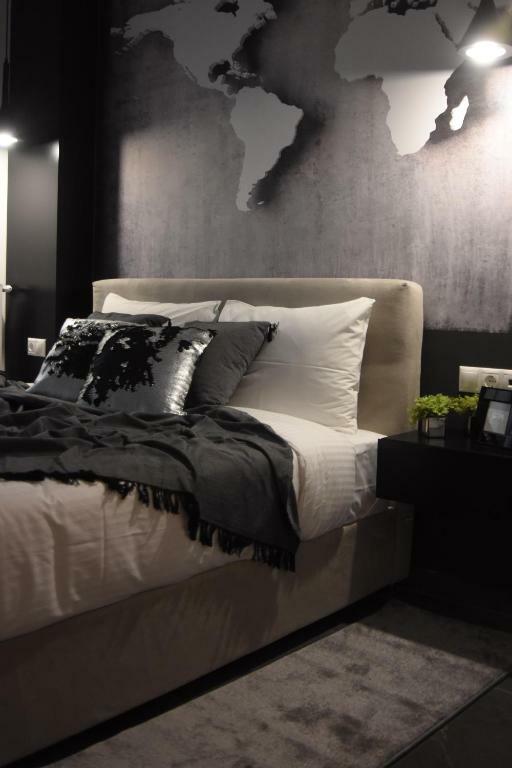 Quando vuoi soggiornare presso Comely n Gusto luxury Apts.(Must)? Their elegance and luxury render Comely n Gusto Apartments a distinctive option for those who seek comfort and leisure environment. 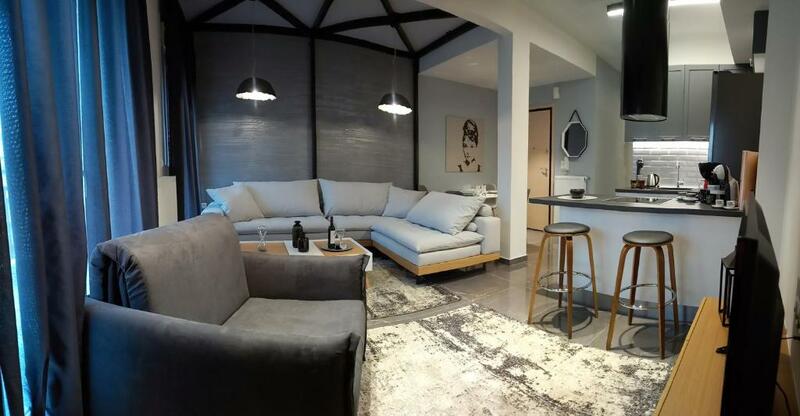 It is definitely the ideal choice for families and couples, who plan their vacation in the city of Thessaloniki, but also for lonely visitors, lovers of stylish architecture. Meticulous layout and precise decoration form an environment of luxury and ease that will make your accommodation experience unique. 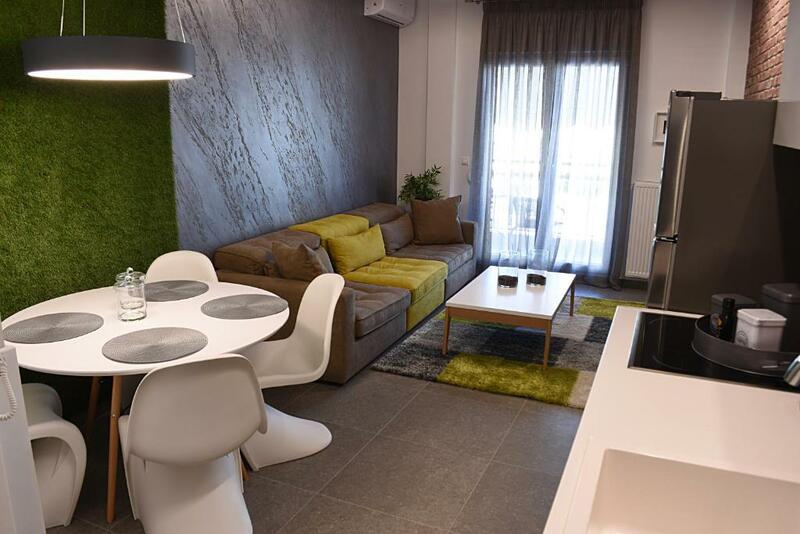 Both recently and fully refurbished apartments facing one of the most central squares of the city (Navarino), Comely n Gusto Luxury promise an unforgettable stay in Thessaloniki. The apartments feature bedrooms equipped with queen size beds, a spacious living room, an all-appliances kitchen as well as a capacious bathroom including a bidet. It is worth mentioning that the large sofas can easily be converted into comfortable beds, making it possible to accommodate two additional guests respectively. 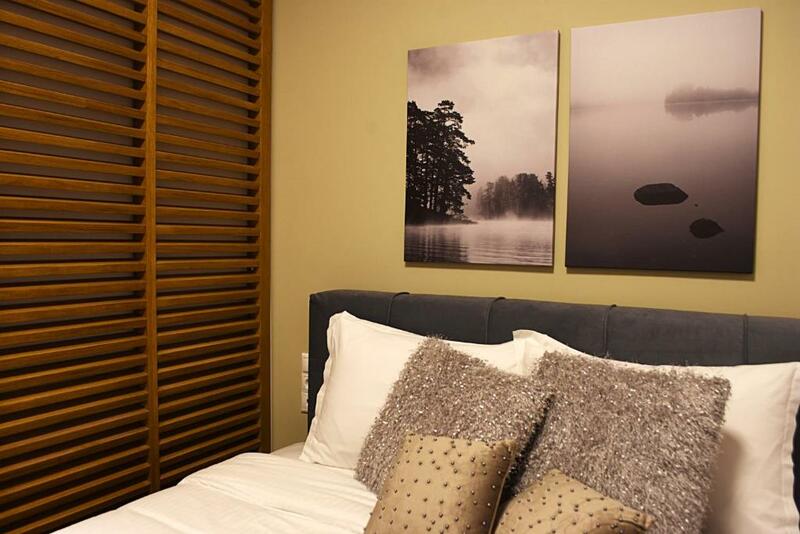 The apartments and their rich amenities will be entirely at your disposal. A bottle of wine and nuts will be offered to you at your arrival as a welcome gesture. Our two-year journey in short-term rentals began with the availability of a very small number of apartments, always driven by personal experiences and hospitality requirements. The central location, the provision of rich amenities, the formation of a warm environment and the competitive price compared to that of the corresponding facilities of a hotel unit were the focal criteria of our continuous development. 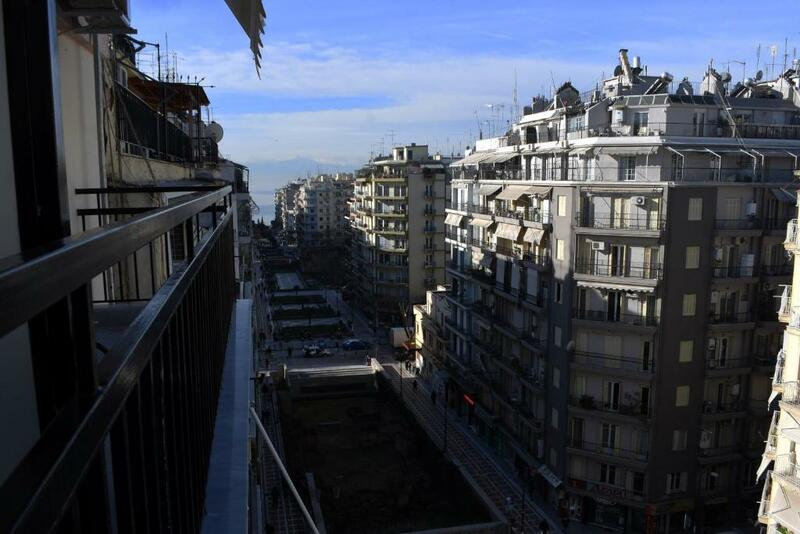 The positive comments and the permanent smile at the departure of our visitors gave us the power for the current expansion in the disposal of eleven luxury apartments in the heart of Thessaloniki. Must Apartments is managed under a family atmosphere and is governed by close friendly relationships with a constant effort to expand and improve amenities. Our main goal is the excellent hospitality for our visitors. If our city is the destination of your business trip or holiday, we are committed to meeting your every need for a luxurious and at the same time economically advantageous stay. 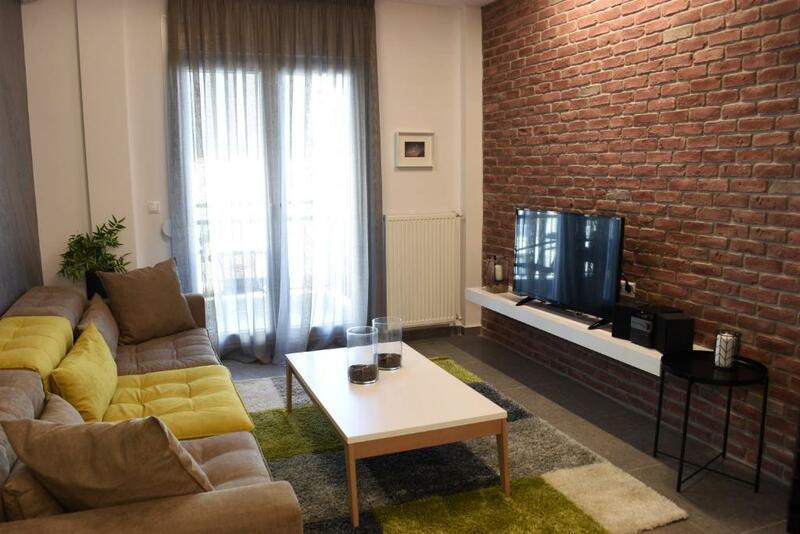 The apartmentss central location is ideal for exploring the city by foot, while access to public transportation and taxi pick-up points are within walking distance. One of the most historical squares of the city, Navarino Square, is literally a few steps from the apartments. You will have a variety of options, including cafes, restaurants and shops. Walking for a while will get you at the city's beach, where you can enjoy the sea view or even stroll towards the White Tower. Leggi prima di prenotare Comely n Gusto luxury Apts. (Must) accetta le richieste speciali. Aggiungile nel prossimo passaggio! Siete pregati di comunicare in anticipo a Comely n Gusto luxury Apts. (Must) l'orario in cui prevedete di arrivare. Potrete inserire questa informazione nella sezione Richieste Speciali al momento della prenotazione, o contattare la struttura utilizzando i recapiti riportati nella conferma della prenotazione. Per calcolare il punteggio sono necessari almeno 5 giudizi. Puoi contribuire anche tu: prenota Comely n Gusto luxury Apts. (Must) e dopo il soggiorno lascia una recensione!